Velvety blue. Liquid blue. Evening-sky blue. Cornflower blue. Sapphire is the official birthstone for the month of September. 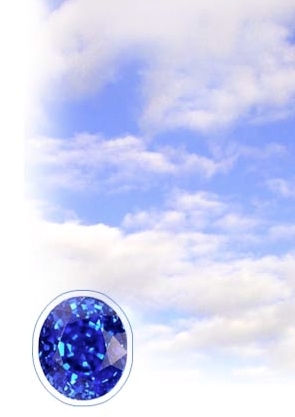 Because sapphire embodies an infinite palette of blue hues, ancients believed that the earth rested on a giant sapphire and its reflection colored the sky. But like the endless colors that appear in the sky, sapphire is also found in many, many other shades besides blue, from the gold of a sunrise, to the fiery reddish-orange of sunset, to the delicate violet of twilight. Sapphire may even resemble the pale white gloaming of an overcast day. In ancient times, a gift of sapphire was a pledge of trust and loyalty. It is from this tradition that sapphire has long been a popular choice for engagement rings.